Any person working within the funds industry as well as those people whose investment portfolio consists of some allocation, in any shape or form to funds, foreign funds in particular, will note that, over recent years, we have been witnessing a strong trend by global asset managers to launch and offer sub-funds with a differing number of share classes. There could be various reasons why to launch more than one share class, but they could be either income accumulating (accumulator) or income distributing (distributor); Retail or Institutional share classes; and more recently, we have seen a marked increase in the issuance of hedged classes as opposed to the traditional Unhedged share classes. It is commonplace for the performance of a fund to be reported in a series of currencies in which that specific share class is launched, as each investor will choose to invest in those share classes which suit their needs, similar to the ones mentioned above. To put things into perspective, let us take a local investor for example, whose day-to-day income and expenditure are more often than not in euros and hence we term that client as having euro as his or her base currency. She or he might however prefer to invest in a USD-denominated fund, such as a US equity fund or an emerging market bond fund having a share class in EUR rather than in USD. By doing so, the investor would be willing to take on the market risk of investing in US securities or USD-denominated emerging market securities, but wishes his/her portfolio of investments to be EUR-based, the base currency. 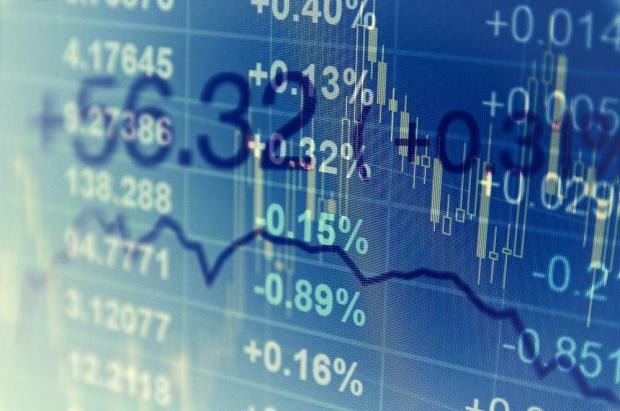 In such cases, investors who choose a currency other than that of the fund‘s investment strategy do so at the expense/risk of having their investment returns influenced by exchange rate movements between the currency of the fund’s investment strategy and the currency of the share class. In practice, asset managers use tools at their disposal to mitigate this currency risk, and that is by primarily entering into transactions known as currency hedges. By doing so, asset managers will be minimising the impact of these exchange rate movements, which serves to remove some of the currency-related risks, thereby permitting an investor to be exposed to the performance of the underlying assets, without the additional risk of being exposed to unnecessary/unwarranted currency fluctuations. It must be said and pointed out that no hedging strategy is 100% perfect and therefore currency risk can never be eliminated in its entirety. There are differences primarily relating to costs, the type of instruments used, amongst other things. This means that a USD share class and a hedged EUR share class (hedged at share class level) will move practically in tandem, in the absence of any cost-related adjustments. Having said that, the return an investor will be exposed to is a mix of the performance of the underlying asset/constituents of the fund, as well as the impact of any currency movements at fund level. Hedged and unhedged share classes are created by fund managers and asset management companies to give investors that extra flexibility in their investment choices. All in all, each investor will look at his/her individual circumstances to determine which type of share class to invest in. Ongoing expenses between hedged and unhedged share classes should be practically identical, with the hedged share classes being that little bit more expensive as the NAV will have the embedded hedging costs, but that is more than understandable, as the ultimate goal of eliminating currency risk comes at a cost. What investors need to keep in mind is that currency hedging may decrease or increase a share class’ performance with respect to that of an unhedged share class. More specifically, currency hedging may substantially limit currency hedged share classes from benefitting if the currency of the currency hedged share class falls against a sub-fund’s base currency or the portfolio’s currencies. Consequently, non-hedged share classes can profit from currency movements, and investors in currency-hedged share classes may miss out on additional gains in these circumstances. It must be pointed out that, from an asset management perspective, the process of hedging at share class level has no impact whatsoever on the management of underlying assets in the sub-funds offering NAV hedged share classes because it is the NAV of the relevant share class which is hedged, and therefore not the underlying assets of the sub fund as a whole. This means that portfolio hedged share classes are hence targeted at reducing underlying currency exposure, and will therefore generate varying levels of performance to the sub-fund’s unhedged share classes brought about by the different currency hedge positions.